Peter, Pieter, or usually Petrus Camper (May 11, 1722 – April 7, 1789), was a Dutch physician, anatomist, physiologist, midwife, zoologist, anthropologist, paleontologist and a naturalist. He studied the orangutan, the rhinoceros, and the skull of a mosasaur, which he believed was a whale. One of the first to interest himself in comparative anatomy and paleontology, he also invented the measure of the facial angle. Camper was not a dull professor in his library, becoming a celebrity in Europe and a member of the Royal Society. He was interested in architecture, mathematics, and made drawings for his lectures. He designed and made tools for his patients, always trying to be practical. Besides he was a sculptor, a patron of art and a conservative politician. Camper was the son of a local well-to-do minister, who made his fortune in the East Indies. As a brilliant alumnus, he studied in the University of Leiden both medicine and philosophy, and got a degree in both sciences on the same day at the age of 24. 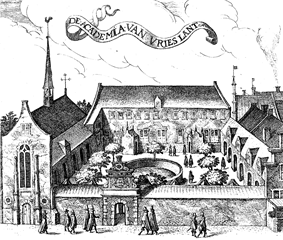 His professors included Pieter van Musschenbroek and Willem Jacob 's Gravesande for physics and mathematics, Herman Boerhaave and Hieronymus David Gaubius for medicine, and François Hemsterhuis for philosophy. After both his parents died Camper then traveled in 1748 to Prussia, England (where he met with William Smellie), France and Switzerland. He was offered sundry professorships, being first named professor of philosophy, anatomy and surgery in 1750 at the University of Franeker. Camper married Johanna Bourboom in 1756, the daughter of the burgomaster of Leeuwarden, whom he had met in 1754 while treating her husband, the burgomaster from Harlingen, who died the same year he married her. Starting in 1755, he resided in Amsterdam where he occupied a chair of anatomy and surgery at the Athenaeum Illustre, later completed by a medicine chair. He investigated inguinal hernia, patella and the best form of shoe. He withdrew five years later to dedicate himself to scientific research and lived on his property just outside Franeker. In 1762 he became politically active in Groningen,in particular with regard to public health issues such as vaccination against smallpox. He also introduced several new instruments and operationprocedures for surgery and obstetrics and became focused on the problem of the head of the baby getting stuck during birth. In 1763 he chose to accept the chair of anatomy, surgery and botanics at the University of Groningen. Both in Amsterdam and in later years, Camper kept a surgical clinic and showed selfmade drawings to illustrate his eloquent lectures, before retiring in 1773. His main focus of attention was for anatomy, zoology and his collection of minerals and fossils. Among his many works, he studied osteology of birds and discovered the presence of air in the inner cavities of birds' skeletons. He investigated the anatomy of eight orangutans, and claimed it was a different species from the human being, and not simply a "degenerate" type of (white) human, as some contemporary scientists theorized. Petrus Camper published memoirs on the hearing of fishes and the sound of frogs, and dissected an elephant, and a rhinoceros from Java. He studied the diseases of rinderpest and rabies. He was visited by Samuel Thomas von Sömmering, who later became a professor in Göttingen. He became an associate of the French Academy of Sciences and had a eulogy in his honour composed by Nicolas de Condorcet and Félix Vicq-d'Azyr. In 1776 he became involved in a plan of dike construction. In 1780 he took lessons from Étienne Maurice Falconet. In his ideas about art Camper was influenced by Johann Joachim Winckelmann. He made drawings of the Dolmen south of Groningen. He was in the selection committee for the prize contest for the design of the new townhall in Groningen that was later awarded to his friend Jacob Otten Husly, who he knew from his work for the Amsterdam Drawing Academy. He became one of the directors of the Admiralty of Friesland. He was appointed as an (Orangist) burgomaster of Workum in 1783, opposing the Patriots (faction). In September 1787 he became the president of the state council of the Dutch Republic and warmly welcomed the stattholder William V of Orange and his wife Wilhelmine of Prussia. At the end of life he suffered from pleuritis; Camper drank a good glass of champagne and died. 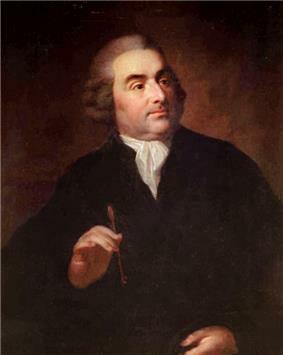 Petrus Camper is also known for his theory of the "facial angle" originally in connection with two lectures he gave in Amsterdam in 1770 to art students on beauty and portraiture. He was concerned with the fact that all artists painted the black Magus in the nativity with Caucasian face. He determined that modern humans had facial angles between 70° and 80°, with African and Asian angles closer to 70°, and European angles closer to 80. According to his new portraiture technique, an angle is formed by drawing two lines: one horizontally from the nostril to the ear; and the other perpendicularly from the advancing part of the upper jawbone to the most prominent part of the forehead. He claimed that antique Greco-Roman statues presented an angle of 100°-95°, Europeans of 80°, 'Orientals' of 70°, Black people of 70° and the orangutan of 42-58°, but not in an overtly racist fashion-he merely claimed that, out of all human races, Africans were most removed from the Classical sense of ideal beauty. These results were later used as scientific racism, with research continued by Étienne Geoffroy Saint-Hilaire (1772–1844) and Paul Broca (1824–1880). Camper, however, agreed with Buffon in drawing a sharp line between human and animals (although he was misinterpreted by Diderot, who claimed that he was a supporter of the Great Chain of Being theory). His son Adriaan Gilles also became a scientist and published much of his father's unpublished research in addition to a biography of him. In 1888, the son of the last female descendant of Petrus Camper petitioned the Dutch crown for a name change to honor his mother, Theodora Aurelia Louisa Camper (1821–1890). The petition was granted by Royal Decree No. 15; and the descendants of Abraham Adriaan Aurelius Gerard Camper-Titsingh Sr. (1845–1910) and Abraham Adriaan Aurelius Gerard Camper-Titsingh Jr. (1889–1974) live today in the United States. The Dutch author, Thomas Rosenboom, used Petrus Camper as a character in his novel, Gewassen vlees (1994). ^ Nederland's Patriciaat, Vol. 13 (1923). ^ "'"Author Query for 'Camper.